Let Scent and Subversion take you for a whiff on the wild side of 20th century perfume.Perfume has been -- and continues to be -- subversive. By playing with gender conventions, highlighting the ripe smells of the human body, or celebrating queer and louche identities, 20th-century perfume broke free from the assumptions of the prior century, and became a largely unrecognized part of the social and style revolutions of the modern era. 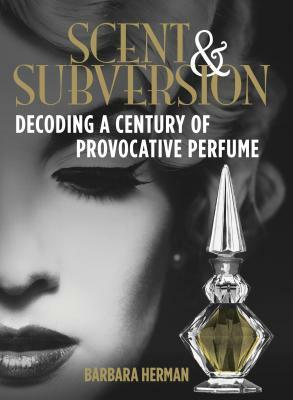 In Scent and Subversion: Decoding a Century of Provocative Perfume, Barbara Herman continues her irreverent, poetic, and often humorous analysis of vintage perfumes and perfume ads that she began on her popular blog YesterdaysPerfume.com. The book features descriptions of over 300 perfumes, starting with Foug re Royale (1882) and ending with Demeter's Laundromat (2000).Lavishly illustrated with more than 100 vintage perfume ads, it will also regale you with essays on scent appreciation, a glossary of important perfume terms and ingredients, and tips on how to begin your own foray into vintage and contemporary perfume. Herman also looks to the future through interviews with scent visionaries such as odor expert and "professional provocateur" Sissel Tolaas, punk perfumer Antoine Lie, and Martynka Wawrzyniak, the artist behind "Smell Me," the world's first olfactory self-portrait.The perfect book for perfume aficionados (aka "perfumistas") as well as connoisseurs of modern fashion and design, feminist and LGBTQ historians, and fans of vintage advertising. Barbara Herman has been the go-to expert on vintage perfume since she began her blog, Yesterday's Perfume (yesterdaysperfume.com), in 2008. She's a senior writer for sparks & honey advertising agency in New York City and has written for Newsweek, Elle.com, EsquireUK, Refinery29.com, IntoTheGloss.com, and International Business Times. She lives in Brooklyn.